Rainy days happen, even in Missoula. We put our heads together and have come up with a great list of 9 things to do when it rains in Missoula. The Children’s Museum of Missoula is full of activities for your family to enjoy no matter what the weather happens to bring to town. They feature all sorts of exhibits to help children learn through exploration and play. This is an interactive science museum filled with exhibits to encourage exploration. They have two locations in town, one on the University of Montana campus and a location in the heart of downtown Missoula. This is another fun way to spend a rainy day exploring the carousel. They even partnered with the children’s museum for an all day pass of fun. The carousel if great for a rainy day with their big bay doors that can be opened to the outside or closed up on cold and wet days. Zootown Art Community Center is filled with all types of rainy day distractions. From classes to galleries, there is always something happening. History buffs, fans of items from days gone by, and just about everyone else can find something unique and interesting at the Historical Fort Missoula Museum. The mission of the Rocky Mountain Elk Foundation is to ensure the future of elk, other wildlife, their habitat and our hunting heritage. There is a lot to see, and enjoy at RMEF. For a list of local breweries, check here. 9. Find a new local author. Many of the local book stores have a section dedicated to Missoula and Montana authors. You may just find a new favorite while browsing the shelves at a book store or the Missoula Public Library. 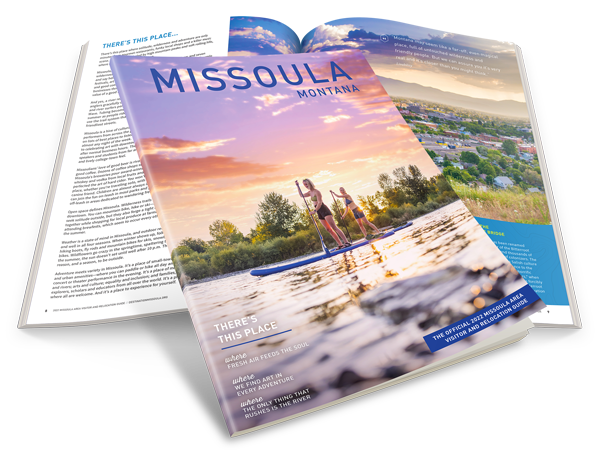 Of course there are so many other things to do around Missoula with or without rain. This is just an idea to get you started. Bonus #10: The Missoula Art Museum has some spectacular exhibits – and admission is always free.